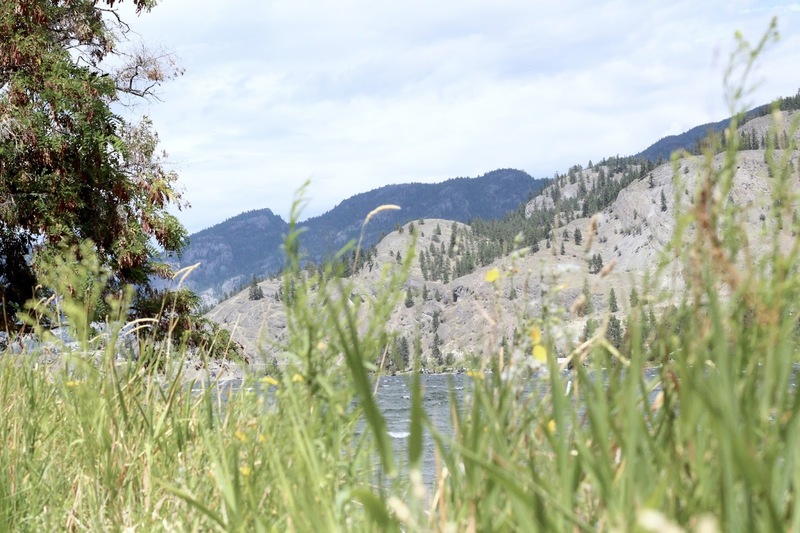 I spent the August long weekend in Oliver with family and had such a relaxing time. We always try to spend a few days at the beach, catching rays or lounging in floaties. I could never find a beach towel big enough for me and all the stuff I take with me to the beach. I would usually resort to bringing several towels or a big blanket to cover more surface area. When I discovered the Rollo Towel I knew I had to get one. I love it's unique circular shape and the fact that it's large enough to lay with room to spare for my beach necessities and accessories. I also love that the Rollo Towel is absorbent. When I go for a swim, I can feel comforted knowing that I have a place to dry off afterwards. Being a person that is always cold, even in the summer time, I really liked that I could wrap the towel around me completely and use it as a blanket, which I really needed on this day because it got a little windy at times. I could see myself using this at the park, during a bbq or going camping - basically it will be coming along with me all summer! What has been your go-to beach accessory this summer? 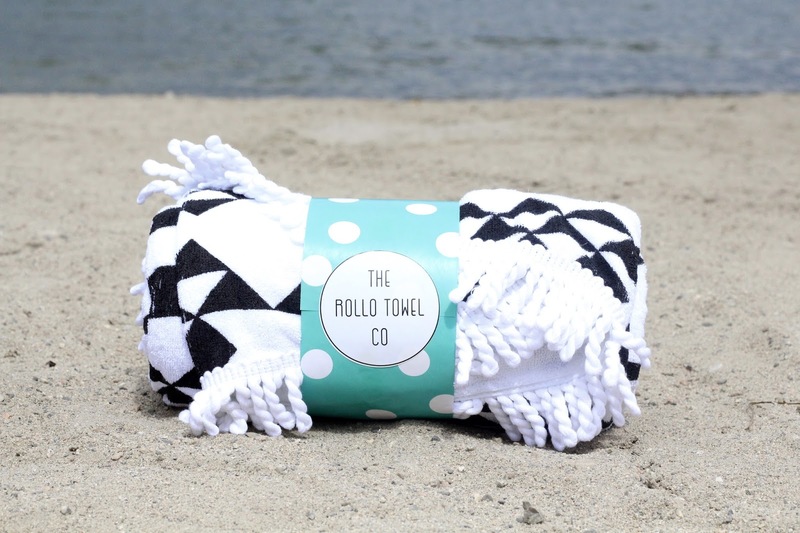 I think the rollo towel co is perfect to bring at the beach.. I agree too! Thanks Elsa! What a perfect beach towel, I love the shape, it's so unique and chic! I haven't been to the beach that much this summer, but my all time go-to beach accessory is my Ralph Lauren beach bag! Thanks girl! Me too! OO That would be such a cute beach bag! Hola guapa, me ha encantado tu ropa de playa y tu bañador, estás guapísima, además la cesta me encantó. Un fuerte beso. Thanks Holly! I definitely will. I could see how you got to that vibe! I love the multi use of the rollo towel too! Oooo I've seen these around and they are so cute!! I definitely want to buy one for next summer. I love that they are round so you can also wrap yourself up in them and it's not awkward haha. And the pattern is totally Instagram worthy! Hope you have a great weekend! I so agree! I've been seeing them around and wanting them too. I love how big they are! Me too babe! I love how big it is and the fun pattern! That towel looks amazing. The shape is really unique. Perfect beach essentials! I love this towel - the circular form is amazing and I love the pattern! I think it could also double up as a wrap around skirt! This towel looks so good! I definitely need one just as soon as Summer returns! Thanks Paula! 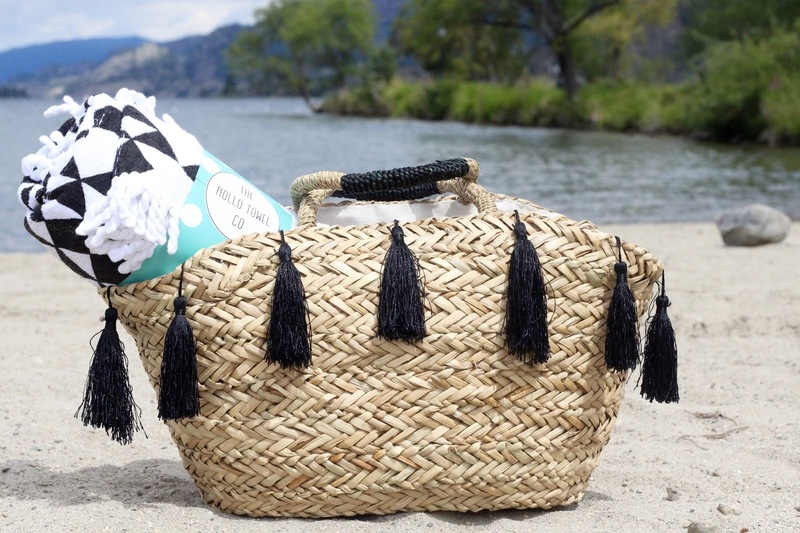 The Rollo Towel is a must have! I would love to bring it to the park for sure. Can you wash it in the laundry? aww I love this towel so much! way cuter than a regular towel. you look gorgeous in these photos girl, I love pink on you! I have something very similar! So useful for anything like a beach day or picnic. You look so pretty in your pink swimsuit and the round beach towel is absolutely cool!!! You are so right. It is very hard to find a really large beach towel. This one looks huge which I really like. The print is nice as well. This could be used for so many things a sporting event, picnic, bonfires and etc. That towel does look cute and size is perfect...beautiful pictures. It is the perfect size. Thanks babe! So in love with your towel and straw bag!!! You just look fabulous! Thanks Nicol! You can't go wrong with a pink swim suit and I can't go anywhere outdoors without this towel/ blanket now! Gorgeous!Loving the towel and your swimsuit! The towel is very cute and I like the design of it. You look gorgeous ! Doesn't it have such a cute pattern? Thanks love! I love the look of a round towel but hadn't previously heard of Rollo Towel. I'm definitely going to have to check them out, that towel is so cute Rina! Thanks Kasie! You have too! They are one of the more reasonably priced brands of round towels <3 and the quality is so good! Gorgeous photos!!! Love your blog! Happy Sunday! I've been thinking on getting a similar towel for sometime now. I love the black and white, is my favourite combination. You know that I have the exact same bag too :) You look gorg! Hope you enjoyed your long weekend with your family. We are beach bag twins! I love this bag I've been wearing it like crazy lately! Thanks Aurela! I totally agree! Thanks love, aren't they funky? Thanks babe! It is super cozy! Eu achei a toalha linda e muito útil. I'd heard about the "round" towel but had yet to see one - it's soooo cute! Oh and i love that straw bag! You look like a diva....I love your sunglasses, the pink swimsuit and the bag^_^ all the pieces of this outfit are glam! It really is! Thanks babe! Its a definite must have!